For my final short story this week I went for one of my favourite authors, Sophie Hannah. I found The Octopus Nest online at my local library. It’s from a full collection – The Fantastic Book of Everybody’s Secrets – and I guess was released as a teased (back in 2008 so I’ve missed it somehow). In it, Claire and Tim come home to find their babysitter has made a rather strange discovery. The same woman is in almost all their holiday photos for the last decade. Album after album shows the same thing. They have, it seems, a stalker. Or at least that’s what Claire thinks. She might, though, be wrong. At first I thought this was another spooky story but creepy is more like it. It’s also suspenseful and has a great twist in the tale, one I didn’t seem coming – which I love. It is well written, drawing me in quickly. The characters were well drawn, all through Claire’s eyes, and I felt my nerves stretch as I wondered just what was going on. As I said, I missed the book this was taken from, but it’s now on order. I can’t wait for it to arrive and hope all the stories are as good as this one. Liked it a lot! 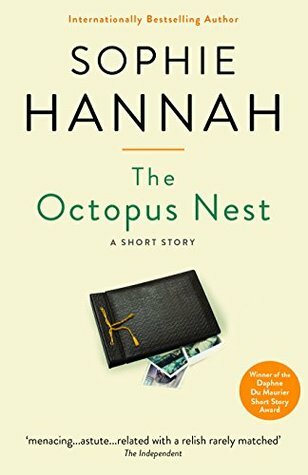 I’m a big Sophie Hannah fan so thank you for reminding me what excellent short stories she writes! You’re welcome…I thought I had read all her books but guess not. Still a nice surprise! I love short stories. I’m in the middle of reading a couple of anthologies right now. Me too. I have been reading more and more recently. I think they can be so clever when well done.